All that cold weather in Florida kept Janice in the house last week. It was a good thing too, because she had lots of sewing to do. 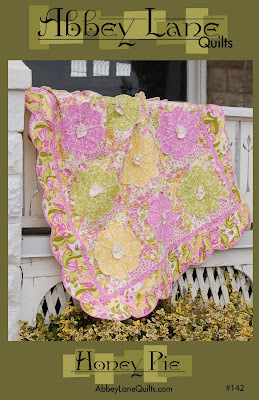 We designed and made two new quilts using Robert Kaufman fabrics. They asked us to work with two lines of Batiks, not our usual, but we both love Batiks. The patterns will be ready in about a month, but we wanted you to have a sneak peak. The first one is with a line called Cornicopia. We have named it SEPTEMBER MORN. The colors are beatiful. We updated a fall leave by using a pieced and raw-edged design. It just has FALL written all over it. The second one is just perfect for right now. 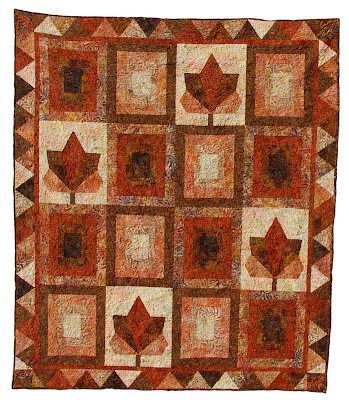 It is from a collection called Northwoods. We named it WINTER WONDERLAND. 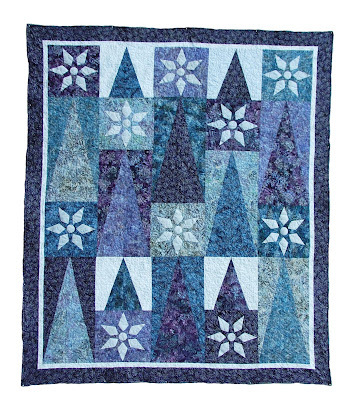 Don't you just want to cuddle up and stay warm with this icy tree and snowflake quilt. 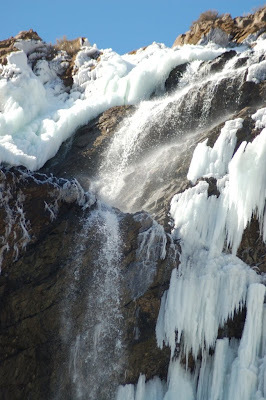 I think it is the perfect "Winter Blues". 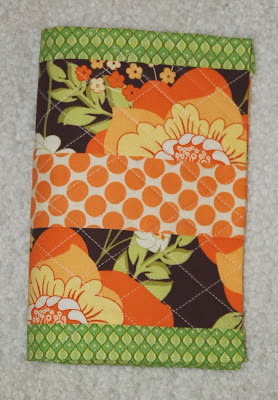 One last thing, check out our newest pattern that will be ready for sell on Monday. It is called "HONEY PIE". 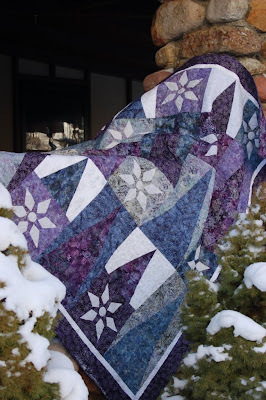 It was made using Lila Tueller's new collection, EDEN, from Moda. The collection hits the stores this month. 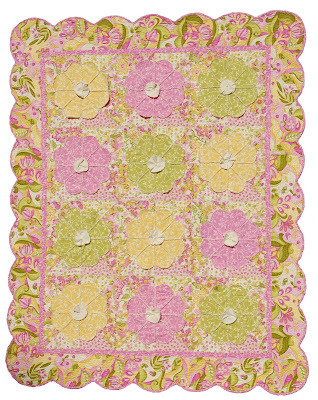 The scalloped border and the three-dimensional, rag-edged flowers make it perfect for that little girl's room. Check the website, http://www.abbeylanequilts.com/ next week for purchasing details. Another Holiday season has come to an end. I don't know about you, but January is a great month to work on all those projects, both new and old. Just to fill you in, Janice and her family came to visit the day after Christmas. 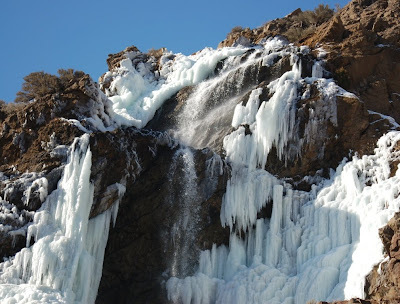 Except for Janice's constant whining, (love teasing her) that it was cold and snowy, we had a great time. We hit all the local quilt stores and stocked up on fabric. She went home yesterday, and the first thing I heard when she got home was that Florida was colder than Utah. At least you can ski in Utah. While Janice was here, we worked on a bunch of new projects. The first one is for her christmas present. Janice got a KINDLE for Christmas. 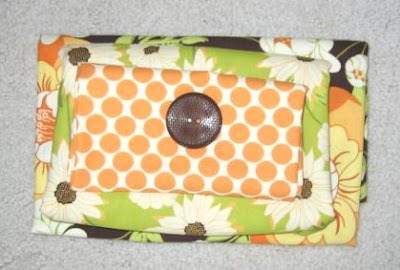 No quilter with a KINDLE can go without a KINDLE COVER. For those of you who don't know what a KINDLE is, I didn't, it is an electronic book, small, compact and very portable, but in desperate need of some cute protection. We started combining different fabrics and different shapes. This is what we came up with. 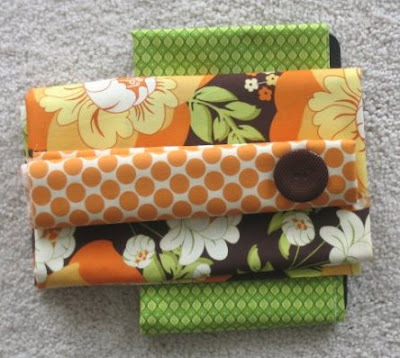 We decided to have three different designs for our KINDLE cover pattern. This was the first. This was the third one. I started measuring, cutting and sewing today. 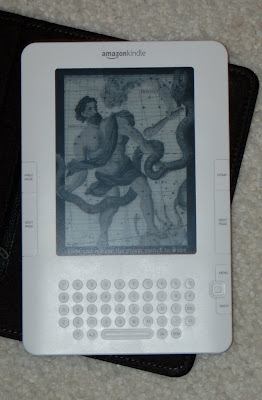 We hope to have them all done in a couple of weeks, so if you are a KINDLE owner, you have to have these great covers. 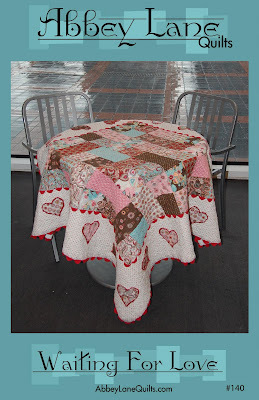 We also have a new pattern ready for sell on the website, http://www.abbeylanequilts.com/. WAITING FOR LOVE is just in time for Valentine's Day. 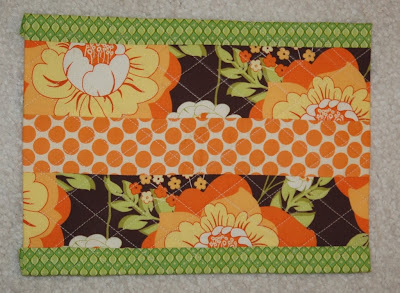 We designed it to be used as a table cloth or a wall hanging. 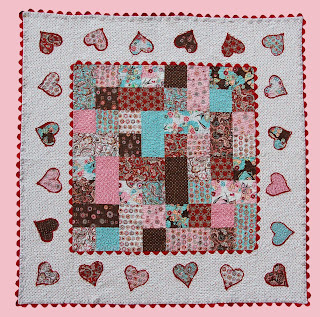 It uses a Layer Cake pack and some yardage, or grab out your stash and pick your favorites. It is fast and easy and the giant Ric Rac adds a special touch. 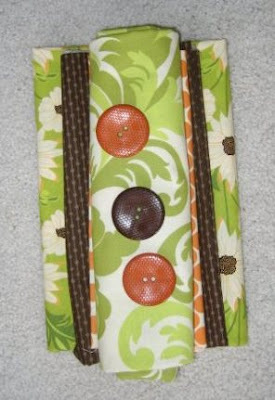 Our New Year's Resolution: Sew, Sew, Sew. Have a great week.